The first weekend of December is a busy one here in DeKalb County, Indiana. There is a lot going on so we are highlighting a few events coming up this weekend. And remember, be sure to check out our Events Calendar for more events happening in #Visitdekalbin! 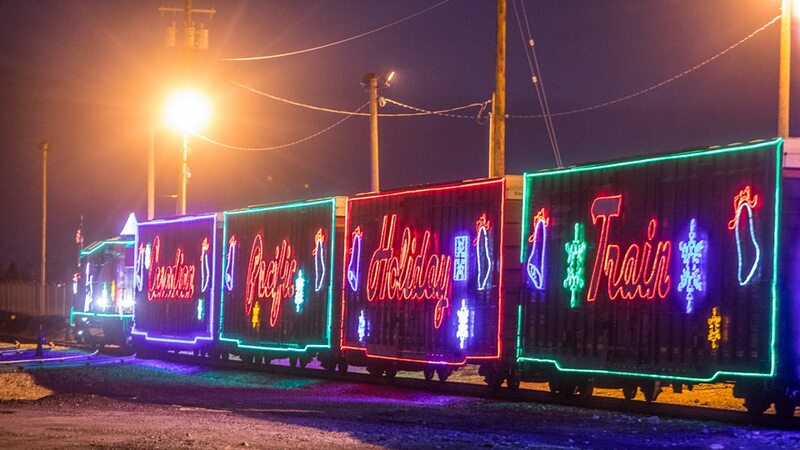 Holiday train lights or not, the Town of Waterloo will still have with a holiday block party! There will be snacks, entertainment, Santa, wagon rides from the DeKalb County Horsemen Association, and more! Canned food donations are encouraged but the event is free. 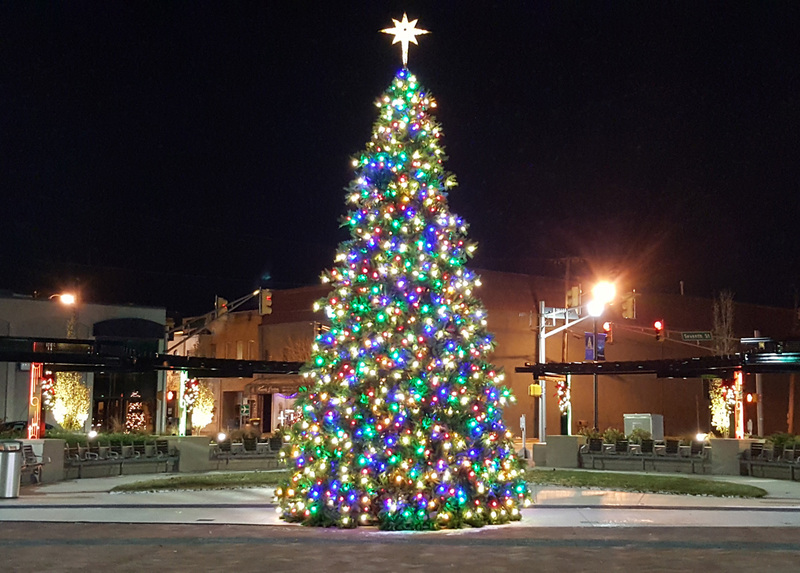 Butler, Indiana will be having a holiday open house to celebrate the holiday season. There will be pictures with Santa, Christmas wreath contest, hot chocolate & cookies, and Tree Lighting Ceremony and more! Searching a special and unique gift? 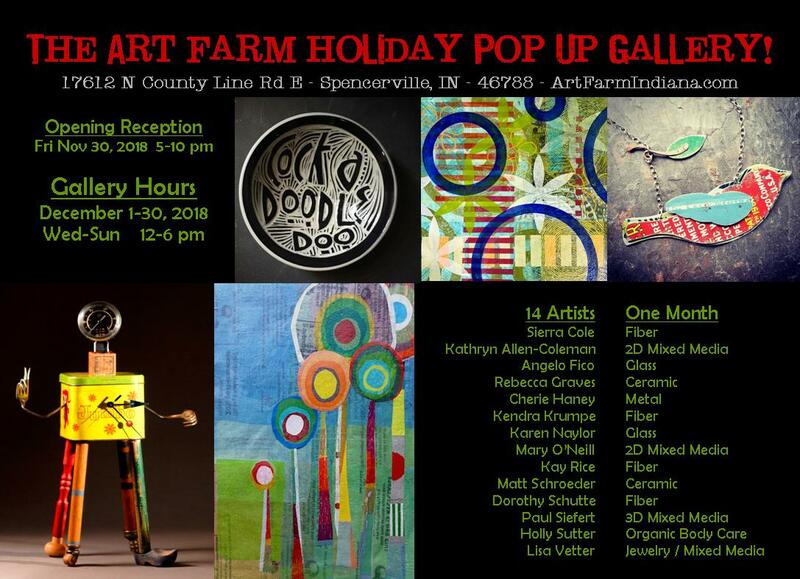 Come to the much anticipated Annual Holiday popUp Gallery at The Art Farm, hosting 12 regional and local artists! Find the perfect gift and support the arts in the process! Mediums include ceramics, fiber, jewelry, organic body care, mixed media, sculpture, glass, and metal. Something for everybody and every budget!